Wolf Hall came heavily recommended — it won the Man Booker Prize, and all that. Hilary Mantel’s 672 page first installment of her Thomas Cromwell trilogy met every expectation. Once I sat down to finish it, I could barely put it down. I spent most of a full day devouring the last 400 pages. It’s not an easy read, but it’s a good one. Does the name Thomas Cromwell ring a bell? Not Oliver Cromwell, who was a distant relation and was also important to English history. Thomas Cromwell rose from impoverished beginnings to a post working for Thomas Cardinal Wolsey, Henry VIII’s chief minister. When Wolsey was unable to secure a dispensation from the Pope so that Henry could divorce Katherine of Aragon and marry Anne Boleyn, Thomas Cromwell deftly insinuated himself into Anne’s favor and became Henry VIII’s favorite minister. This resulted in a rapid rise to power and riches, which lasted until his execution in 1540 over the poor choice of Anne of Cleves for Henry’s fourth wife. Wolf Hall tells the story of Cromwell’s rise to power along with Anne Boleyn and her family. It’s a triumphant book, in which we can’t help but cheer for the success of Thomas Cromwell and his family. Hilary Mantel has created a new paradigm for Cromwell in this lovingly crafted piece of historical fiction. We already know the story, but what makes Wolf Hall exceptional is its attention to detail. The book is full of characters, and if you aren’t already familiar with Henry VIII’s court, you will be by the time you’re done — be prepared to read with your Wikipedia open :). For example, Mantel vividly describes Thomas Cromwell’s relationship with Hans Holbein, who painted at Henry’s court. This painting shows the turquoise ring that Mantel tells us was given to Cromwell from Wolsey — it’s the little things about this book that give us a human picture of a statesman who was also a man. In this interesting article from The Telegraph, Hilary Mantel talks about how she decided to write a trilogy about this time period. I was kind of surprised how the book ended and since I already knew there was a sequel, I felt that the book came to a sudden stop. When she completed Wolf Hall, she realized she had too much material to just put it into her planned two books. Between Wolf Hall and The Mirror and the Light, which will be about Cromwell’s final downfall, Mantel added Bring Up the Bodies, which covers the year prior to Anne Boleyn’s execution. “When I came to write about the destruction of Anne Boleyn (a destruction which took place, essentially, over a period of three weeks) the process of writing and the writing itself took on an alarming intensity, and by the time Anne was dead I felt I had passed through a moral ordeal,” the author told the newspaper. The beauty of Wolf Hall — and why we as readers care about the essentially despicable Thomas Cromwell — is Mantel’s genius at drawing us into Cromwell’s mind. Her plot structure allows us to trust Cromwell’s plan and we believe that he will be successful. It’s all very well planning what you will do in six months, what you will do in a year, but it’s no good at all if you don’t have a plan for tomorrow. I can’t wait to read the next installment; I’ve already got it on hold at the library! I hope I don’t have to wait six months. Any time you want to yell back at me, just refer back to the title; I promised you a rant and rant I shall be doing. I’ve been seeing a lot of “cleaning out my friends” posts on Facebook recently. I am cleaning up my Facebook friend list. Please let me know if you wish to remain active by answering… with Yes please. It made me think about why I would want to eliminate friends from Facebook and about whom I would eliminate. Surely one can pick and choose for herself whether or not to continue being “friends” with someone in her life. And then there’s the obvious missing comma between Yes and please. Enough to drive me crazy. I’m also pretty tired all of the photos people are posting showing old-school household equipment, such as a manual ice-cube tray with the flip lever. I’m finding myself increasingly annoyed by these photos. Nostalgic or of historical import? I’m a fan of both, but glorifying these objects seem silly to me, although this blogger does bring up a good point about using stainless steel over plastic trays if one doesn’t have a built-in ice maker in the fridge. I REMEMBER the fractured ice cubes and chunks that come out of these trays. I’ll stick with my auto-cuber in my freezer, thank you, and I don’t want to wade through junk like this to get to the nuggets of information you are actually sharing about your life — the ones I want to see. Political crap? OMG, will you stop already? It’s one thing to post a thoughtful article which allows the Facebook friend to decide to read or not. One of my relatives curates and shares lots of political articles, and his commenters are both supportive and antagonistic about the positions presented. I love that. I MADE THE CHOICE to read it. Please don’t just slap up your unresearched and sensational opinion about something. Link the article where you found it so that I can make an informed decision for myself. You claim to be patriotic and looking out for the best in our country. Isn’t being an informed voter important to our democratic process? Save your inflammatory rhetoric for your friends who already agree with you. I promise; it’s not changing anyone’s mind, and certainly not mine. These links to other sites that people are putting up also drive me to the nuthouse. Yesterday a Facebook “friend” posted a photo link of an artist’s rendering of Jesus bleeding on the cross. Really, was that totally necessary? I get that you want to proselytize about your personal faith and I support your right to do it. But can we think a little more carefully about how such a photo will affect your reader? What I do love about Facebook is the personal photos. Among the pictures of little kids doing cute things and adults doing things they probably shouldn’t be putting on Facebook, my friends share photos of their vacations, photos of their beloved relatives, and photos of interesting ephemera that they find along their way. I love seeing their point of view, and I learn something every day about new camera applications and photography techniques. I’m closing today with a photo a friend took in St. Louis. Yes, there’s a little gentle political sarcasm involved, but this is what I want to see on Facebook. Something that actually makes me think. I am the Queen after all, and I can make my own rules. Read The Women by T.C. Boyle. It’s really good. End of book review and on to the juicy stuff. Boyle’s tale of Frank Lloyd Wright’s relationships with women is intriguing — a pastiche of story-telling based on solid factual research. I’ve been a fan of Frank Lloyd Wright for many years. I’ve visited his home and studio in Oak Park many times and I’m always happy when a visitor wants to take the tour. I’ve been intrigued by his story and the depth of his magnetism. It’s kind of amazing how this arrogant and self-centered man was able to inspire love and almost slavish devotion from the people around him. Sometimes what I write doesn’t end up where I intended it to go when I began. Clearly this is more than a book review because I’m a history nerd. After we read Loving Frank in book club, we decided to do a pilgrimage to Spring Green, Wisconsin, to visit Taliesin and I wrote about it here. We have also visited Taliesin West in Arizona, Falling Waters in Pennsylvania, and the local FLW shrines, including Unity Temple. When I read books about Frank Lloyd Wright and his designs, his houses become characters on their own. Blue Balliett’s YA novel, The Wright 3, is a good example of this. Wright’s Robie House near the University of Chicago is the setting of this novel, and I couldn’t wait to go visit it after reading the story. The physical connection I get to the houses through the text is hard to resist and apparently I’m not the only one. If you’re going to be in the area with your children, read the book together and then take the house tour designed to connect with the book — or just do it yourself cause it’s worth it! Given all that history, it’s not surprising that I just lapped up The Women hungrily. Told through the reflections of a fictional Japanese apprentice, T.C. Boyle has given us another intense visit with Wright and the women who loved him. He traces the stories of Wright’s three wives and his mistress backwards, and as the story unfolds, questions are answered and links become clear. It’s a difficult narrative construct to do effectively, but it didn’t drive me too crazy. I wish there had been more about first wife Kitty and how she really coped with Wright’s desertion of her. I’m a firm believer in the power of chance and there are several chance encounters that led to the writing of this book and the writing of this post. T.C. Boyle is the author of many successful books as well as being a professor at UCLA, and apparently he had enough money to purchase and renovate Wright’s George C. Stewart House in Montecito, California. In this interview, he talks about how his fascination with Wright grew after living in one of his homes. I can truly see how that would happen. On our recent trip to California, we visited the Claremont Hotel in Berkeley. I was deep into The Women, visualizing FLW striding around in his cape and hat, and suddenly, there he was on the wall of the Claremont. Of course I took a photo (as I do incessantly). Wright loved the Claremont, and designed a wedding chapel for the hotel in 1957 at age 88. It was never built, but its design was organic yet modern, as all of his work was. In researching the wedding chapel design, I ran across the website of this Italian architect, who has redesigned Wright’s work using specific design principles. I’m a great reader, but a lousy book reviewer, as you can see. I get too caught up in the human stories surrounding authors and their subjects to ever make a living writing book reviews. I’m glad you stuck with me through this visit with Frank Lloyd Wright, and I highly recommend The Women if you have been intrigued by my story today. While watching the Golden Jubilee coverage today, I got inspired to do some research about the paintings of the Thames that the television presenters were referring to, and I discovered some gorgeous views of the Thames. 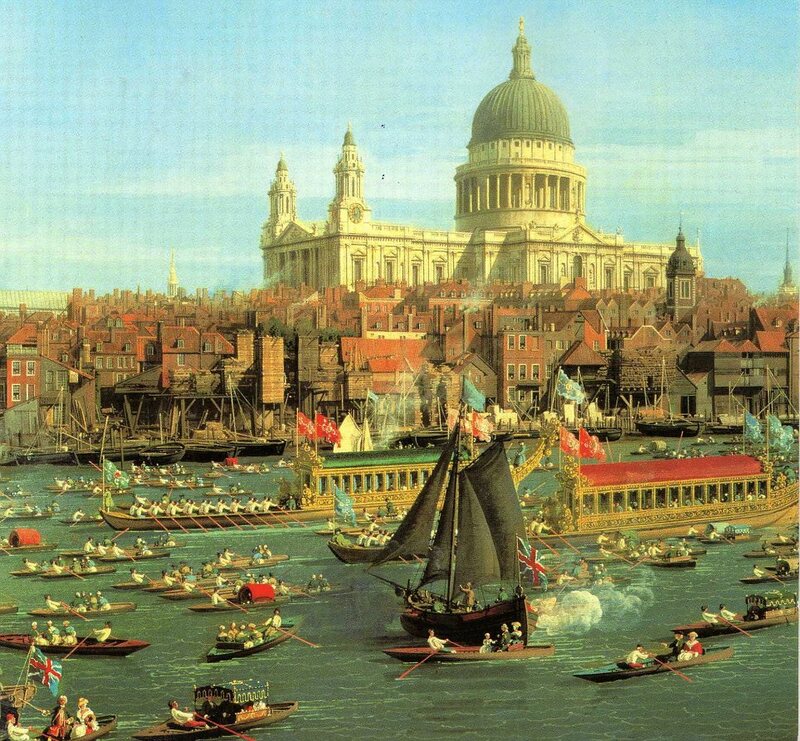 The River Thames with St. Paul’s Cathedral on Lord Mayor’s Day, c.1747- 48, was painted by the Venetian artist Giovanni Antonio Canal (known as Canaletto). 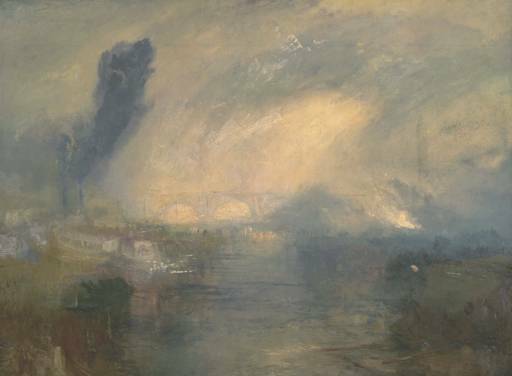 The Thames above Waterloo Bridge c.1830-35, by Joseph Mallord WIlliam Turner, shows an impressionistic view of the Thames, Turner “shrouds the river in a blanket of pollution, with chimneys belching out smoke” according to the Moderna Museet website. James Jacques Joseph Tissot (15 October 1836 – 8 August 1902) was a French painter who spent much of his career in Britain. This painting, The Thames, c. 1876, gives the viewer a vision of a jaunty little group out for a pleasure trip on the crowded river. Claude Monet’s Waterloo Bridge in Grey Weather, c.1903, shows a “crowded heaviness. Behind are the chimneys, dirt, smoke and steam of London and in front the bright dark flow of the Thames. Monet has parted them with his clever use or placing of the bright, red and green splashes on the vehicles crossing the bridge” according to the How Stuff Works website. Finally, my 2011 photos of the Thames taken from the Tower Bridge show a modern London and a modern river. I hope you enjoyed today’s journey through history. 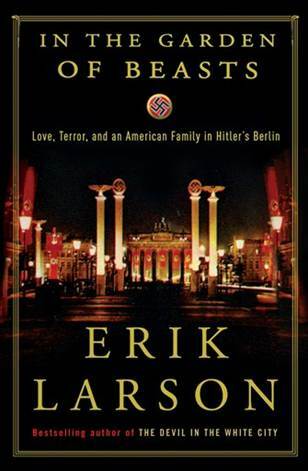 Yesterday I finished Erik Larson’s In the Garden of Beasts: Love, Terror, and an American Family in Hitler’s Berlin. After two previous slow starts, I read three-quarters of the book and it became a compelling read that I could barely put down. How did we let Hitler get away with it? That particular piece of history absolutely should not repeat itself, yet it has in other ways and in other societies across the world. Should the United States be held responsible? Larsen creates a very personal story that reminds us that at least in regard to Hitler’s rise to power, we knew about it and didn’t do anything until it was too late for many European citizens. Tom Hanks has signed on to star as University of Chicago professor-turned-ambassador William E. Dodd in a movie based on the book, scheduled for release in 2014. Given his ability to play low-key, gentle characters with sensitivity and historical accuracy, Hanks should be wonderful. I look forward to seeing the movie — it’s a long time until it comes out, though. In the meantime, I recommend that you read this riveting non-fiction and very personal account of a family’s relationship with Hitler’s Germany. Just in case you’re living under a costume drama rock, there’s some mighty fine television happening on Sunday nights on PBS. Which team are you on? Are you for Branson and Sybil? Matthew and Mary? Bates and Anna? There has been a wonderful series on the Jane Austen’s World blog about Highclere Castle where Downton Abbey is filmed. I encourage you to check it out! Welcome to the first installment of The Louisa Challenge. I hope that you will join us in our online salon as we examine the life and work of one of America’s most popular authors. Scene from the 1994 movie adaptation of Little Women, starring Winona Ryder as Jo March. The women are reading a letter from their father and husband, Mr. March, who is serving in the Civil War. According to Jessica of Scholastic, Little Women consistently comes up as a favorite book among people who follow the BookPull blog. The curators at Orchard House say that Alcott’s alter ego, Jo March, “was the first American juvenile heroine to act from her own individuality –a living, breathing person rather than the idealized stereotype then prevalent in children’s fiction.” According to this satirical web site, Little Women is also a book that makes you dumb — I just had to include it because it touched my funny bone to think of English majors going crazy analyzing whether or not the guy from Cal Tech had chosen the correct genre or not! And when you type in Louisa May Alcott on the Amazon.com search engine, you get 10,011 results. As a comparison, John F. Kennedy garners 63,000 hits, and Beverly Clearly only gets about 900. Louisa continues to be talked about and written about far beyond her relatively short period of fame in the second half of the 19th century. The same scene from the 1949 version of the movie, starring June Allyson as Jo. This month we are talking virtually about the Alcott family biographies, and there are lots of them! For those who haven’t quite had the time, the Library of Congress has published a simple biography of Louisa May Alcott with lots of related links. We may all want to bookmark this site as we go through the Alcott canon; it’s chock-full of interesting information and photos. The challenge was to read at least one Alcott biography and respond to a prompt. I’ve chosen Prompt #1. 1. After reading an Alcott biography, how did you feel about the real Bronson Alcott? How do you think his family and especially Louisa were affected by him? Are there fathers like him today? Mr. March (Bronson Alcott) appears in Little Women as an almost mythical figure; at the beginning of the story he is off working as a chaplain in the Civil War and upon his return, he continues his ministerial work in a local church. As a role model for Josephine March and her sisters, their father is clearly not the driving force. They love him, they respect him, and they try to follow his teachings, but for day-to-day getting-it-done, Marmee makes things happen, not big daddy. It appears that Louisa May Alcott could not face representing her father realistically, but rather than be mean, she just made him disappear. Based on all sources that I have read, it’s pretty clear that Amos Bronson Alcott was a dreamer, was unrealistic, and depended on others to keep him and his family from destitution. Yet, his personal magnetism and intellectual acuity convinced many people that he should be protected, honored, and saved from financial disaster. I’ve never been able to understand this. John Matteson says in the Pulitzer Prize-winning Eden’s Outcasts that “the world had no good yardstick for measuring Bronson Alcott. His inspirations seemed saintly to some and deluded to others.” He was a vegan before the word was even coined, and his vegetarian family wore linen shoes while pulling a plow attached to their shoulders through frozen ground at Fruitlands. He convinced them that it was not only unkind to the oxen to eat them or to use their hides for sturdy boots, it was a sin to ask the animals to labor for the humans’ sakes. Geraldine Brooks invents a fascinating backstory for March/Bronson in March, where March’s pride and faith are tested during his Civil War sojourn in the South, and he returns to his family a different and more humble father and husband. Unfortunately, that’s not what actually happened. Given his successes and failures and emotional breakdowns, it’s hard to understand why Louisa and her father were somehow psychically joined at the hip. Like any daughter, she wanted her father’s approval, and he rarely gave it to her, despite that fact that for the last two decades of their lives, it was Louisa who kept the family out of the poorhouse. His Transcendentalist indoctrination was so strong that she struggled with her very normal desire to achieve fame and fortune; in Little Women we see Jo “trying to be good” all the time, when she is clearly an altruistic and caring person. Louisa basically was forced into writing not just one, but almost a dozen 19th century chick-lit YA novels that she hated to write, but which kept her parents, sisters, brother-in-law, and nieces and nephews fed, clothed, and housed. I find it very interesting that Louisa managed to stay alive and making money for twenty years while dying a long slow death from fatal mercury poisoning. She didn’t give up until her father passed away in 1888; at age fifty-six, she died just two days after her father. For a woman who spent her entire life being the “man of the family,” Bronson Alcott’s death allowed her to finally stop caretaking and supporting her entire family. It’s pretty clear to me that Bronson’s irresponsibility — his Pied Piper nature combined with his total inability to sacrifice his principles for the people who loved him — made Louisa May Alcott the woman she became, and thankfully, we are the better for it. It’s a mixed blessing. Now it’s your turn! What did you read and what do you want to tell the members of our Louisa Salon? Just link up or leave a comment. I can’t wait to hear what you think. Don’t forget to check back regularly for new comments and links and start reading Little Women. Our Louisa Salon meets again on February 13, 2012. Your post and button will show up in a new page when you click on the froggie, and don’t forget to grab my button to link back to the Louisa Challenge page! I just read that the Smithsonian is dismantling Julia Child’s kitchen and putting it in a larger exhibit where it will be “in context” with other food exhibits. OMG. I was just thinking about planning a spring break trip to Washington, D.C. in order to put my secret stick of butter in Julia’s kitchen. It’s a good thing I read David Lebovitz’s posts on my Facebook page! They say it will be open again “sometime” because the Child kitchen has become a “go-to” exhibit and has attracted visitors far beyond the Smithsonian’s expectations. I was ready to make my pilgrimage, and I’m really disappointed. I’ve been a Julia disciple for many years, but she really came into focus for me after reading her books and seeing the movie made of Julie Powell’s book. I blogged about my copy of Mastering the Art of French Cooking here, made a recipe from the cookbook and blogged about it here, and commented on the book and the movie on my previous blog. I’ve excerpted my comments for you here. Having recently finished reading My Year in France by Julia Child and viewing Julie and Julia, I can’t help recalling the scenes in both the book and the movie where Child gathers in a group of people and creates a family wherever she lives. She lost her mother early, her relationship with her own father and stepmother was strained and it appears that she was disappointed to remain childless, but she made up for this sadness in her life by being a catalyst who drew disparate people together. Not surprisingly, her lasting friendships appear to have revolved around food and travel. The Valentine’s Day scene in Julie and Julia in Paul and Julia’s French dining room is poignant and felt very meaningful to me as it triggered memories of the wonderful meals I have shared with family and friends in 2009. Even when I went to the movie web site and watched the trailer, I was reminded of incredible meals from the movie and from my own life. After reading both books and bookending the books with viewings of the movie, I heartily recommend that you do all three. The movie is good enough to stand on its own, but your enjoyment and understanding of the characters involved will be deepened by reading the books. When I wrote this post in 2009, I had not yet been to France. 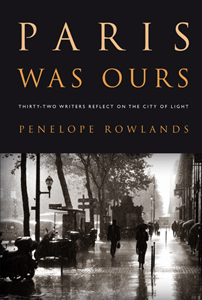 This summer, we will go back to Paris for a return trip. I’m going to do some more research about Julia’s life in France and perhaps will be able to perform this year’s visit to the Julia shrines in France rather than the United States. Let me know if you have any good ideas!